Have you ever had a cake that was so beautiful, crazy or fun, that you were almost sad to eat it? Wouldn’t you want to though, have a cake that you’ll always remember? I found the person who can do exactly that. 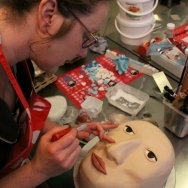 I stopped by CAKE Amsterdam, and talked to Zoe Elizabeth Gottehrer, who happens to create 2D and 3D cakes, besides making the most deliciously good looking cupcakes. While in the Netherlands, you can’t possibly refuse the traditional apple pie and coffee on your birthday, Zoe can turn your wildest dreams into a cake (okay, maybe not your wildest dreams, but she can get pretty close)! Without a doubt, she’s an artist at work. Who is this dream maker? Born and raised in New York, Zoe studied film and photography. There was passion for the craft, and also for the music business in which she worked for some time. She moved to the Netherlands for love, and has in fact fallen in love with Amsterdam. “I like it here, I have my life here,” she said. However, she had never imagined that she would open her own business creating cakes, and making people happy with what she does. You feel responsible to bring a smile to people’s faces. Zoe works with Julie Wintrip, who owns Queen of Tarts. Besides sharing a fascination for antique lamps, and cute porcelain tea cups, they share the working space, and keep each other company. Yet, at the same time they manage to keep their businesses separate. Julie for instance, makes and delivers cupcakes to The Darling on Runstraat 4. One of the most important components used to create their cakes is fondant icing. It works almost like clay, and they us that to make everything from flowers, hearts and stars to animals to Tim Burton’s Corpse Bride characters. While you can’t just show up at Zoe’s shop and purchase her creations, you can set an appointment with her and she’ll custom make whatever it is that you want. 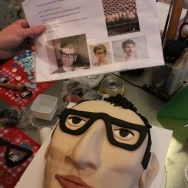 The price of the cake depends on the size, detail and time. The starting price is € 50. 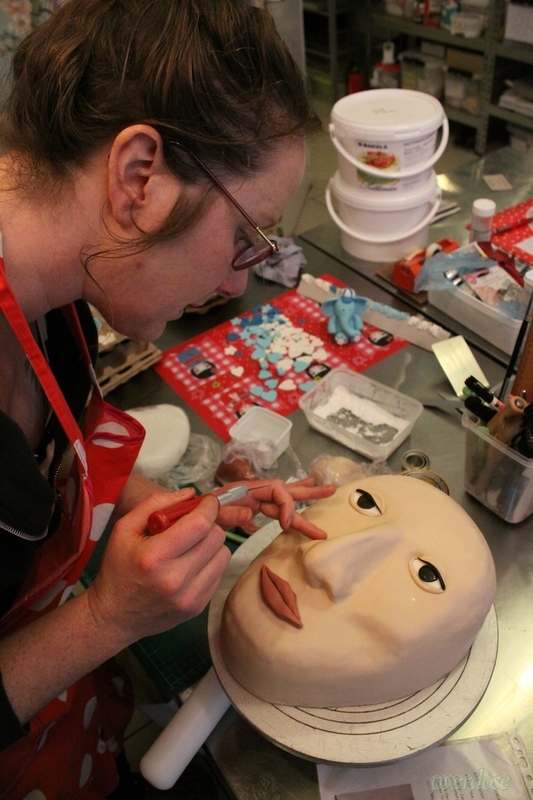 She has made cakes for all sorts of events, including a very provocative boxer short cake for a hen party! 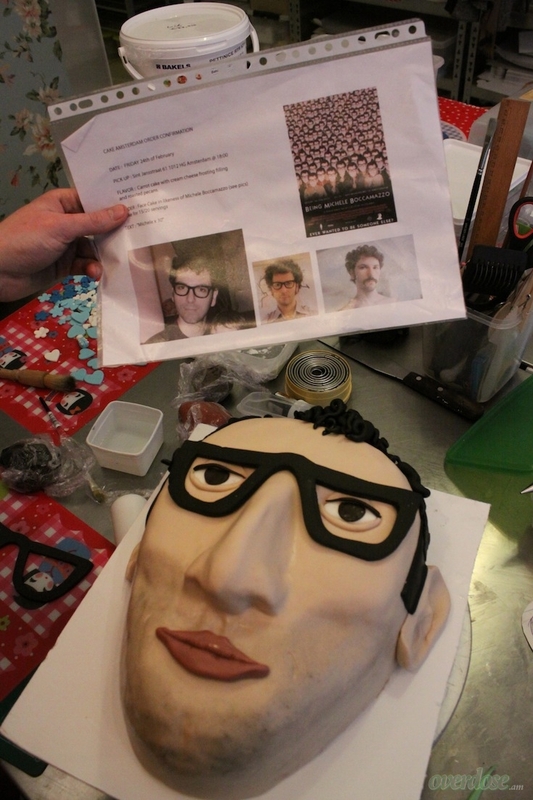 The photo gallery below depicts the working process of a 2D cake, which was made for a surprise birthday party. The inspiration was the face of the birthday person, who all the guests were going to wear in the form of a mask. Pretty awesome!